HELLO!You have arrived at The URBANIZACAO-DO-LAGAR. ..Please scroll down the page. 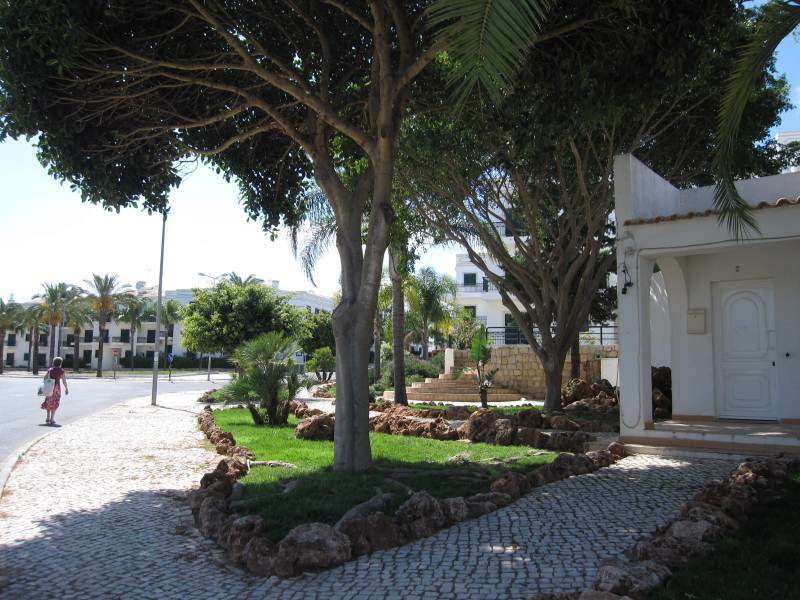 It is set in lovely gardens in the village of Conceicao,close to Cabanas and Tavira in the East Algarve.It was built by the local Camara (council) as a showpiece for the village expansion plans. 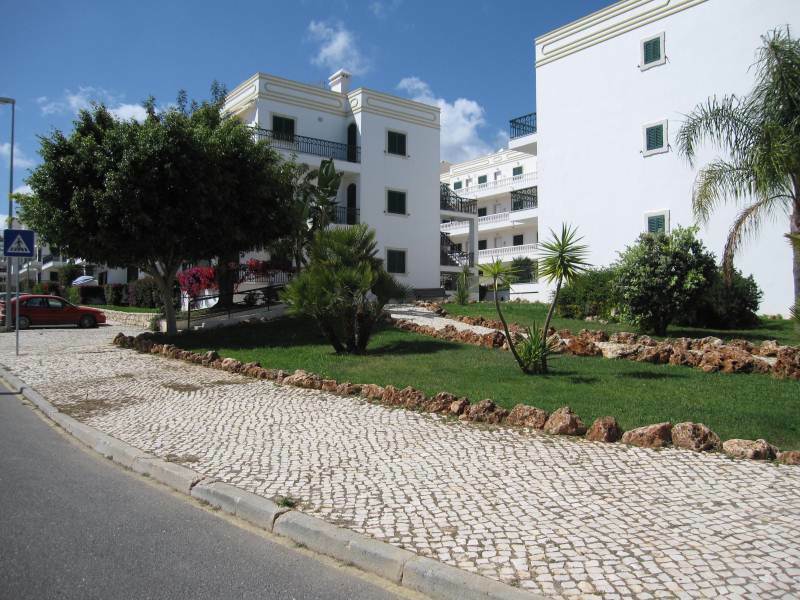 The architecture has to be amongst the best in the Algarve set in lovely grounds.With wide roads which give it its open and peaceful and uncrowded feel. There is now a good public pool less than five minutes from the apartments.Being public it has to be kept to a really high standard,so you know you have no risk of the bugs often picked up from condominium pools with their inadequate filtration systems.Alongside the pool is the Hairy Lemon pub and a restaurant,so everything you need within sight of the apartments. Cabanas is a lovely 10 minutes walk (some say twenty minutes).We do it in 10 so it must be a leisurely pace for people with children or old age pensioners.Cabanas has everything,including one of the best beaches reached by a water taxi across the lagoon. Conceicao RestaurantVery close to our 2 apartments on the URBANIZACAO-DO-LAGAR is this quaint little restaurant. This was a very lovely small restaurant 3 minutes walk from our Conceicao,Cabanas apartments.It was run by an older lady and she served lovely food.Then about five years ago we made one of our 3 visits a year,to find the restaurant shut down.We never did find out what had happened.Since the lady was so nice we sincerely hope she retired.Not as so many businesses in the Algarve forced to shut down through lack of trade,since Portugal joined the Euro.There are more foreign flat owners but most of them cannot afford to go to Portugal and everybody who does visit has no money to spend in shops and retaurants. Anyway on visiting recently in July 2012,we noticed the restaurant had re-opened.We were not able to go for a meal there but it is nicely restored and hopefully will be as good as before.We had noticed a young couple going in and out since it was vacated so maybe they are the new owners. We will let you know when we make it in there for a meal. Chris the owner of the site and my wife is the lady in the shot.The estate was only started in 2000 and the part in the above scene is 2005-2006.So the gardens are remarkably mature for those few short years.The building in the background behind the large palm trees is where our beautifull 2 bedroom apartment is located. East Algarve near Cabanas.Large Modern Luxurious 2 bedroom apartment.Ten Minutes from Tavira .We rent this apartment out all year round at very reasonable rates.So affordable luxury,thanks to them being owned outright with no borrowing.Take a look at our equally luxurious one bedroom apartment on the same urbanisation,just one minute walk from the two bedroom. 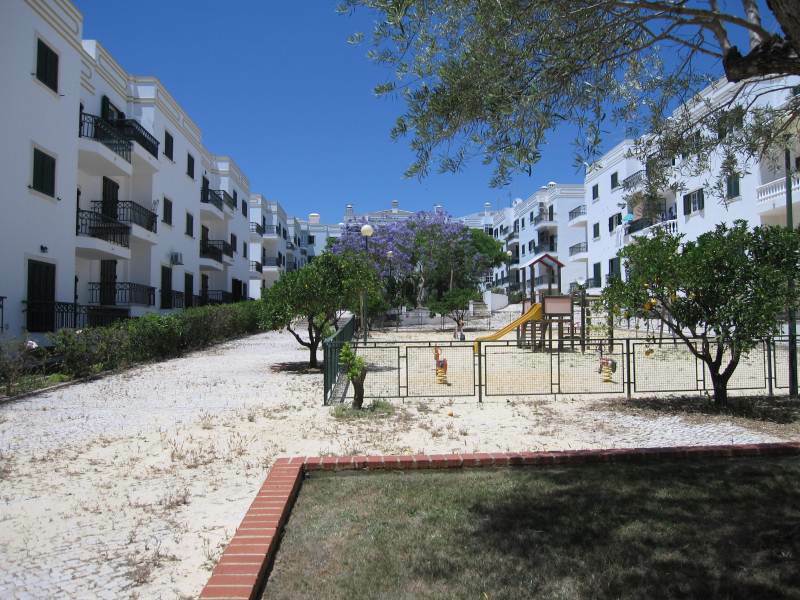 ONE BEDROOM APARTMENT East Algarve The urbanizacao is located so well both for living and holidays.It was actually designed for permanent dwelling so a lot more thought and attention went into the layout and interior design.No shared usage rooms in these apartments.Every room has a dedicated use.So much more luxurious than your average holiday home.They were made very spacious too for modern dwellings.The one bedroom apartment is nearly 70 square meters so is bigger than most 2 beds and the 2 bed is a very luxurious 120 square meters.Yet they manage to still feel cosy and stylish. TROPICAL GREENERY EVERYWHERE YOU GO. 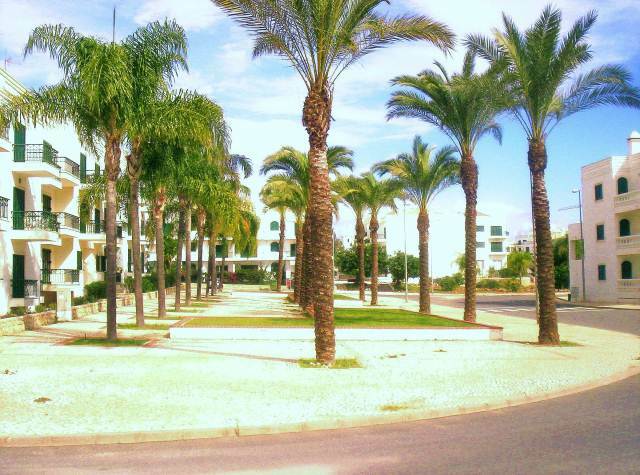 The URBANIZACAO-DO-LAGAR is situated just 3 minutes walk from the village shops.Where as a resident or tourist you will have everything you need.From supermarket to chemist.Cafe to restaurant and numerous bars.Even a dentist and DIY shop.It is all here!Benamor golf course is less than 5 minutes walk away and there are other good golfcourses around the Tavira region. OUR GROUND FLOOR TWO BEDROOM APARTMENT.STRETCHES FROM ENTRANCEWAY TO FOURTH WINDOW ALONG. Everything is open and spacious and gardens abound around every block of apartments.There are even rear courtyard gardens with shady areas for those hot days.With safe areas for the kids to play. Below is the scene right adjacent to our 2 bed apartment on the URBANIZACAO-DO-LAGAR.This is what you see as you walk towards the flat and what you see as you go out every day.The palms give such a luxurious feel to the area around you and make a very welcoming sight after a long hot day on the superb beaches of Cabanas. f)Cabanas lovely resort village 10-15 minutes walk. g)Fantastic sandy beaches 15 minutes walk.Miles of white sand. 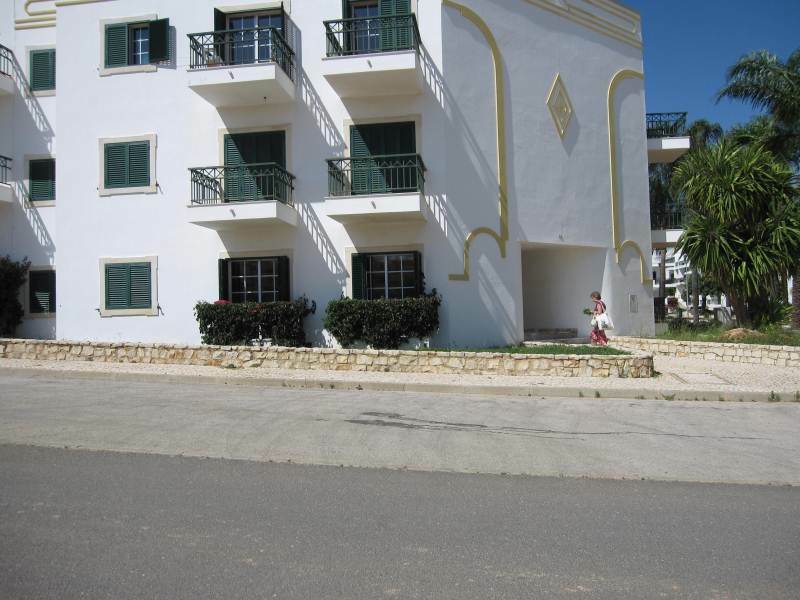 h)Benamor golf course just 5 minutes away,easy walking distance. 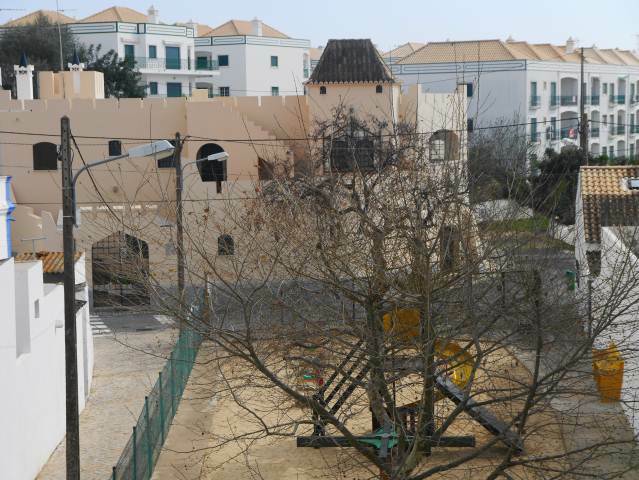 o)Pool with-in sight of flats along with restaurant and the Hairy Lemon pub.URBANIZACAO-DO-LAGAR end. The Portuguese government and local Camara (council) are not too fussy about theneeds of the disabled.If they do provide a ramp down off a pavement,there well might not be one on the opposite side of the road. Conceicao is a pleasant little village which being on the main route through from Algarve to Spain,is quite well equipped with all the shops you would need.It is all here,a good and cheap supermarket,seafood shop,chemist,nice cafe,newsagent and hardware,2 restaurants,local store,numerous bars and a dentist etc. 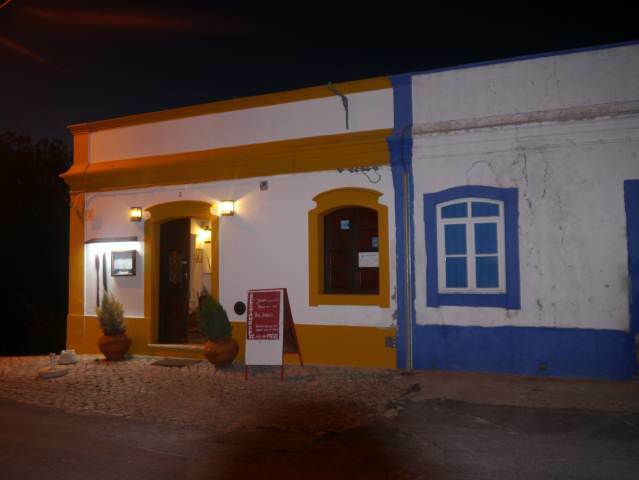 If you want serious shopping,Tavira is 10 minutes away by car or train.There is also a modern shopping mall with cinema 10 minutes by car or bus. There is a small booking office just a minute away from the apartment for a feast of trips and activities.A trip to Seville should be on your list if at all possible,everybody should see Seville before they die!